Astronomers have been putting a lot of effort into searching for life on other planets. But what if it&apos;s not another planet that&apos;s the most promising candidate for life, but instead, another moon? This is the conclusion reached by a duo of McMaster University researchers, René Heller and Ralph E. Pudritz, following their development of computer models of planetary systems far out in the universe, beyond our own solar system. After taking into account a long list of variables, the team also reasoned that larger moons in particular might be the most promising choice to search for life. The researchers began their study by modeling how life might evolve on the moons of our solar system&apos;s gas giant: Jupiter. We already know that some of Jupiter&apos;s moons have water: Europa, for example, is thought to have considerably more water than Earth. The team modeled the ice-formation on the moons of Jupiter and then used these predictions to assist their models of extrasolar system gas planets. While a gas planet is forming, it absorbs matter in a swirling disk. The more massive the disk, the more likely it is that water will be formed here and thus make the planet&apos;s moons watery. In Jupiter&apos;s case, its moons became icy because Jupiter is not in the habitable zone, but a gas-giant that is in this region would have liquid water. Since liquid water is a prerequisite for life, it makes sense that mankind is more likely to find life on the moons of gas giants more massive than Jupiter, or "super-Jupiter" planets. There are many Jupiter-like planets out there; however, they can&apos;t support life (as we know it) because they have no solid, outer crust. Don&apos;t be disheartened though; these gas giants are capable of supporting the orbits of Mars-sized moons. Heller and Pudritz think that these moons are one of our best bets for locating life. Millions of exoplanets are thought to exist and around 4,000 have been confirmed indirectly by observing subtle changes in light intensity from stars as planets travel in front of them. However, we can&apos;t directly see these planets, let alone their moons. Even though a moon comparable to the size of Mars might seem huge to us, it is tiny when compared to an entire galaxy. 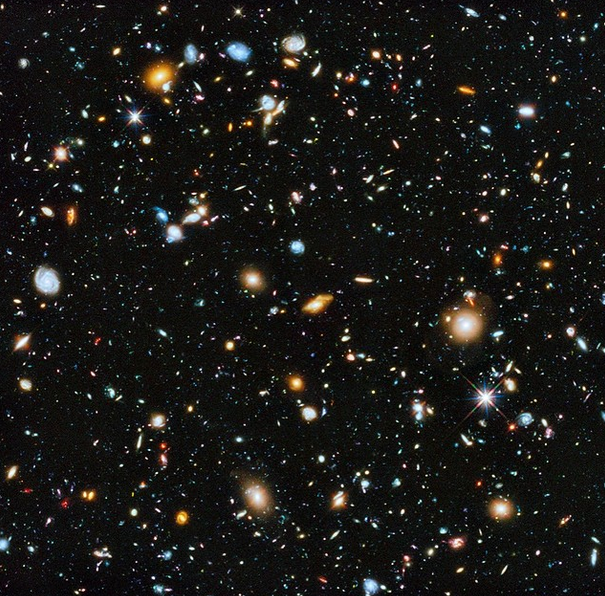 Even some of the largest galaxies can only be seen as a tiny dot from Earth. Being largely unable to see exoplanets is incredibly frustrating, especially when the team thinks that their even smaller moons could host alien life. "We could be just a few decades from proving if there is life elsewhere," says Heller. "For all this time, we have been looking on other planets, when the answer could be on a moon."